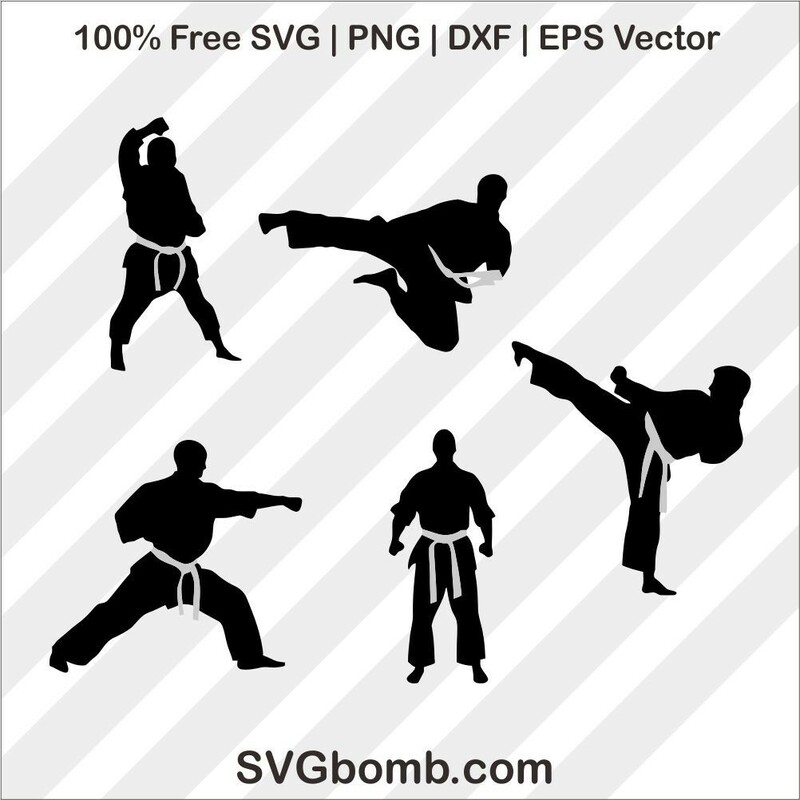 Vector Taekwondo SVG, This file can be scaled to use with the Silhouette Cameo or Cricut, Brother Scan N Cut cutting machines. EPS file For Adobe Illustrator, Inkspace, Corel Draw and more. SVG vector image perfect for Shirts, Mugs, Prints, DIY, Decals, Clipart, Sticker & More. Digital die cutting files. All of our SVG/PNG/EFS Files are for personal projects and non-profIf you would like to share these cut files or images with your readers or on social media please link directly to this page, and not to the cut file itself, and provide a full credit link. Copyrights to all designs are retained by SVGbomb.com, with all rights reserved. Don’t forget to use password “svgbomb” for download item. Thanks for visit, Please share on your pinterest. SVGbomb.com is free svg websites, perpect for your DIY project or more. If you have any issues, please contact us via Contact Page and we will be happy to help.